Enter your email address to follow The Mets Report and receive notifications of new posts by email. Join Rob DeLucia and I as we breakdown what the Mets did at the Trade Deadline, how the Mets’ payroll will look going forward, early impressions of Amed Rosario, what we hope to see out of Dominic Smith and what does the future in New York look like for Steven Matz, Zack Wheeler & Terry Collins? Thanks for listening as always and any questions you want answered on the show, leave them in the comments section below! Should Sandy Alderson regret building around pitchers over hitters? The Mets 2017 season, that started with so much promise, has been completely derailed by injuries to key players. The pitching staff that finished 2016 with the 3rd best ERA in MLB, has been the WORST in the majors with a 5.01 ERA. The pitchers that the front office believed could lead them back to the World Series have all dealt with injuries (Or in Matt Harvey’s case off the field troubles and regression) this season except for Jacob deGrom, who has been decent, but far from the elite arm he’s been the last few seasons. It must make fans wonder if Sandy Alderson and his team creating the blueprint around young pitchers was the right choice. When Sandy Alderson came to New York, he had the plan of tearing everything down and following the San Francisco Giants mindset, which was to construct a team around one offensive star (Buster Posey for SF, Yoenis Cespedes for NYM) and pretty much all other offensive players were interchangeable, while building around superior pitching. The trio of Tim Lincecum, Matt Cain and Madison Bumgarner were as formidable as any rotation in baseball for not one or two, but three championships. That model created a borderline dynasty, but it was short lived. Cain never had an ERA under four after his age 27 season, and Tim Lincecum now 32, is out of baseball. The Giants success while impressive, has a stroke of luck attached to it. Looking back on it, all of those postseason innings Cain and Lincecum threw turned out to just be too much mileage on their arms. The club has had a dismal start to 2017. The Mets like all other franchises, want to make long runs in the postseason every season. The way their pitching has not been able to stay on the field the last few regular seasons, it’s fair to wonder if they’ll have the ability to do that. Even workhorses like Cain and Lincecum were not able to handle that kind of workload going on deep playoff runs after awhile. Sandy Alderson did an excellent job of following the Giants model. He waited out long and expensive contracts left behind by the previous Met regime and made some shrewd trades to acquire future starters such as Noah Syndergaard and Zack Wheeler. Offensively, Sandy has made it clear in his tenure with the Mets that home runs and walks are the most important traits he wants his position players to have, while defensive range and athleticism haven’t been considered as important. Hopefully for the Mets sake when the team calls up Amed Rosario in a few weeks, they can improve a very poor defense. The Atlanta Braves are also on record saying during their current rebuild that they’re trying to emulate the starting pitching plan the Mets have committed to. With that said, there aren’t too many teams that build around pitching in today’s game. Obviously, you need quality pitching to win, nobody is disputing that, but with pitchers being as brittle as they ever have been, does it make sense when rebuilding to build a core around arms? Or does it make more sense when rebuilding with prospects to go after young hitters over pitching like the current Chicago Cubs. The Cubs went with the opposite strategy of the Mets and Giants, selecting position players at the front ends of drafts such as Kris Bryant & Kyle Schwarber and trading big league pitching for Addison Russell and Anthony Rizzo. The Houston Astros also have a nice young core of position players such as George Springer, Carlos Correa and Jose Altuve. The ‘Stros have enjoyed the majors best record to start 2017. The story of this Mets era, built around the arms of Matt Harvey, Jacob deGrom, Noah Syndergaard, Steven Matz and Zack Wheeler is far from over but at this point it’s a legitimate question if this group can stay healthy enough to win the franchise’s first World Series since 1986. The 5 starters mentioned, who the Mets were hoping would anchor their pitching staff for the next decade, have never pitched a single turn in the same rotation. When all is said and done will the Mets regret building around pitching over hitting? If you haven’t noticed, the Mets season is at a crossroads. The Mets offense is at a point where it’s hard to expect runs no matter who is on the mound for the opposing team. While losing Lucas Duda and David Wright has hurt, the rest of the team just hasn’t produced offensively. The Mets were counting on Michael Conforto and Yoenis Cespedes to carry the load like they did in the second half of last season. Cespedes has cooled off dramatically since a hot April and Conforto is in the minor leagues after not being able to adjust to pitchers strictly throwing him breaking balls. The Mets have really had no answers on how to fix this lineup internally. Since then the Mets have brought back Jose Reyes. No matter what you think of Reyes’ off the field issues, it’s pretty clear that this isn’t the same Reyes that won a batting title in his last tour with the Amazins. Reyes was never a gold glove caliber shortstop by any means, but his defense has dramatically regressed over the last few years with the Marlins, Blue Jays and Rockies. Now the Mets are relying on Reyes to be the dynamic spark plug he once was along with learning third base, a position he has never played in the big leagues. Reyes is a good enough athlete where he could adapt to third base or even the outfield but the Mets wouldn’t be asking this of Reyes if the guys in the lineup were producing. It seems pretty desperate to bring in Reyes and hope he can be the Reyes of old and not just an old Reyes. Expect him to be up at Citi Field next week. Washington just swept the Mets and while there is still half a season still to be played, it’s hard to imagine the Mets offense being good enough to hang with Dusty Baker’s club down the stretch. The Nationals clearly look like the better team and the Mets starting pitching looks tired. It may be because of all the extra pitches the young starters endured in the postseason or perhaps some nagging injuries that we haven’t been made aware of but this rotation just isn’t the same as it was last year. That doesn’t mean the Mets should regret throwing their arms deep in the playoffs by any means but it’s clear that there’s some fatigue. Noah Syndergaard and Steven Matz are both dealing with bone spurs in their elbows. While the Mets doctors have ensured the team that pitching through these injuries won’t make their elbows worse, you often see players develop new injuries trying to overcompensate from the pain they are dealing with. Steven Matz has basically stopped throwing his slider in June, you have to wonder if that pitch was causing him pain. Matt Harvey hasn’t been the same elite pitcher this season and Jacob deGrom’s velocity has been down most of the season. Bartolo Colon at the ripe age of 43 is still pitching as strong as ever. Who are the Mets All-Stars? As the Mets lone All-Star last season, Jacob deGrom impressed the baseball world with a strong inning of work at the 2015 All-Star game. The Mets have had just one All-Star each of the past two seasons. Coming off of a World Series appearance and a strong start to the 2016 season, expect more Mets on the National League roster next month. With just 5 weeks until the annual midsummer classic, this year in San Diego, let’s take a look at who on the Mets has a chance at an All-Star appearance. Noah Syndergaard: The mighty Thor has picked up right where he left off in the 2015 playoffs. Of this impressive Mets pitching staff, Syndergaard was the only pitcher for New York to win a game in the World Series last season. Syndergaard has dazzled with his 100 mph fastball and a low 90’s slider. If Clayton Kershaw wasn’t in the NL, there would be talk of Syndergaard as a NL Cy Young candidate. Barring an injury, it would be difficult to imagine Syndergaard not being invited to the All-Star game in what should be a great group of young stars on the NL staff. Yoenis Cespedes: After a breakout 2 month stretch with the Mets last summer, Yoenis hasn’t stepped off the gas pedal. The slugger has a team high 15 homers and to the surprise of many has played a decent center field through the first third of the season. Cespedes has a few nagging injuries which is the only thing that could slow down the MVP candidate in another walk year. It’s crazy to think what the struggling Met offense would look like without him. Cespedes could be elected as one of the three starting outfielders with the fan vote. He currently ranks 3rd in votes among NL outfielders. If he doesn’t get on that way, expect him to be an alternate in San Diego. Jeurys Familia: The Mets closer has been perfect in save opportunities this season and is coming off one of the best seasons a Met reliever has ever had. While Familia hasn’t been as great this season as he was last year, he still has been very effective for one of the best bullpens in baseball statically. His 18 saves this season are tied for the most in baseball. Usually relief pitchers get All-Star recognition the year after their breakout season. With Terry Collins in charge of the final few NL roster spots, along with the replacement players, expect Familia and several other Mets to be heading to San Diego. Steven Matz: The Mets lone rotation lefty has been brilliant after a blowup start against the Marlins in his first outing of the season. Matz has dealt with the injury bug throughout his young career but when he has been on the mound he has been a very pleasant surprise for the Mets. While pitcher wins isn’t the most noteworthy stat in 2016, Matz is 7-1 and has won 11 of his first 12 regular season decisions in his brief time with the Mets. Believe it or not Matz is still just a rookie having pitched less than 50 regular season innings last season. The National League is going to be stacked with pitchers and every club must be represented at the All-Star game but with pitchers bowing out with injuries, expect Matz with another strong month to find a way onto the club. Neil Walker: While Daniel Murphy has taken his offensive game to a whole other level after departing New York, the Mets new second basemen has emerged as an All-Star caliber player as well. Despite moving to a pitchers park, Walker has found his power stroke, slugging 13 homers in just 53 games. Walker’s career high in homers is just 23 so barring a long slump he should shatter that. What is even more shocking about Walker’s home run total is his ability to hit homers off lefties. In Walker’s career entering this season, the switch-hitter had hit just 6 homers off lefties in 721 at-bats. He already has 5 this season in just 44 at-bats off southpaws. Walker has been streaky for the Mets but overall he is putting up career best numbers in what is a very weak class of candidates at second base for the National League. Only Daniel Murphy and Ben Zobrist are putting up All-Star caliber seasons at second in the NL. Walker has always been a dependable, solid player in Pittsburgh but he has never been an All-Star. Like Cespedes, Walker is also in a contract year. Jacob deGrom: While everyone seems concerned with deGrom’s loss in velocity, the right-hander is still putting up top of the rotation numbers. Jacob’s strikeouts are down but he still has a strong 2.62 ERA in 9 starts. With all the talk about Matz and Syndergaard, deGrom has fallen under the radar. It seems unlikely the Mets would be able to get three starters on the NL Roster but deGrom can certainly make a case for himself with a strong month. Addison Reed: With the number of quality closers in the National League this one seems unlikely but the Mets 8th inning guy has been fantastic this season. Reed, 27, has been stellar for the Mets since coming over in a trade last August from the Diamondbacks. With the number of shutdown innings, Reed is putting up, along with the fact that the pitching replacements are Terry Collins’ call, Addison has a shot at his first All-Star appearance. While Reed is unlikely for San Diego it cannot be ruled out. Expect the Mets to have their most All-Star selections since 2006.
Who should represent the Mets at the All-Star Game? With less than 2 weeks before Opening Day, the Mets Opening Day roster is pretty much set. The only questions left are with a few injuries along with spots on the bench and the bullpen still to be determined. Here’s how we expect it to all shake out. Matt Harvey has already been named the Mets opening night starter in Kansas City. After a strong 2015 season along with a brilliant performance in WS Game 5 against KC, Harvey has certainly earned the honor of starting opening night. Jacob deGrom’s wife is expected to give birth around April 5th so Noah Syndergaard will start the second game. If deGrom is back from his expected paternity leave he will likely start Game 3 with 3rd year Met Bartolo Colon and rookie Steven Matz behind him in the rotation. Asdrubal Cabrera (hamstring) is questionable for Opening Day. It is unknown if he will get the at-bats needed this spring to be able to be ready for the season. The Mets seem to believe that he will be ready so we will put him in the starting lineup for now. After releasing Ruben Tejada the Mets don’t have much shortstop depth with major league experience. If Cabrera is not ready Wilmer Flores will likely step in to the starting lineup at shortstop. The Mets will need Wilmer to play third base a few days a week for the aging David Wright. This could be a very big year for the Mets two youngest starting position players, Travis d’Arnaud and Michael Conforto. Terry Collins said a few weeks ago that the first five on this lists already had spots cemented in the Opening Day bullpen. Hansel Robles will be suspended for the KC series but the Mets will not be able to replace him on the roster while he is out. Gilmartin was very solid last year as a long man for the Mets after coming over from the Twins as a Rule 5 pick. Jim Henderson, the former Brewers closer, has regained velocity and looks very sharp this spring. While the Mets can send Henderson to the minors, he has looked very solid and if the Mets believe he can go back to being the reliever he was when he pitched the 9th for Milwaukee, then he certainly would be a fine addition to the Mets bullpen. Other candidates are Erik Goeddel who has been injured most of the spring and Logan Verrett who is likely competing with Gilmartin for the Mets long man role. Thanks to additions to the Mets starting lineup, players that were expected to get major at-bats like De Aza and Flores now become solid and versatile bench players. Flores will help Wright at third and will back up at short and second. Neil Walker didn’t hit lefties much last season so Flores could get at-bats at second vs. lefties. Expect Flores to play a lot this season even though he isn’t an “everyday player” anymore. While Juan Lagares is a very good center fielder expect him to play some left field as a defensive replacement for Conforto. Terry Collins is wary of moving Cespedes all around the outfield so Lagares may not play much center field while Yoenis is in the game. The Mets were interested in finding a backup catcher so Kevin Plawecki wouldn’t be sitting on the bench so often but they haven’t found a player they like yet so Kevin stays on this list. The Mets believe an extra 200 plate appearances for Plawecki in the minors would really help his development offensively. Thanks to the trade of Ruben Tejada, Eric Campbell makes the club as the 25th man. Campbell has struggled in the majors the past few seasons but has had a strong spring and can play the infield and outfield corners. A majority of Terry Collins’ bench can play multiple positions. With two weeks to go still before the season, injuries can alter this list. On paper this is a very strong roster that should have Citi Field buzzing all summer. Do you agree with this 25-man roster projection? It has happened. 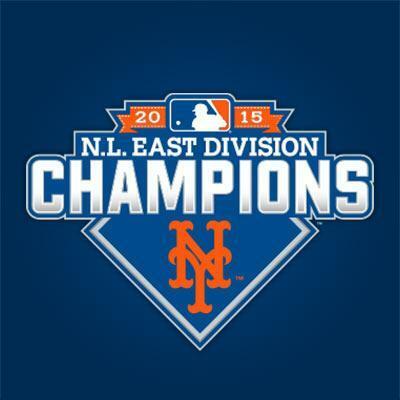 After two collapses and six seasons of just pitiful baseball, the Mets are heading back to the postseason. The club has been dominant since Sandy Alderson upgraded the club’s offense back in late July. The Nationals had a golden opportunity to put the Mets away in the first half of the season but never played consistent enough to get on any kind of win streak. Once the Mets added thump to the lineup, they zoomed past the underachieving Nationals. All the Nationals frustration boiled over on Sunday when Jonathon Papelbon attacked Bryce Harper in the Nats dugout during another difficult loss. The return of David Wright to the New York lineup was pivotal in addition to the acquisitions the Mets made at the trade deadline but it was the Mets starting pitching that was able to give the Mets a huge advantage on most nights. Jacob deGrom and Matt Harvey were even better than expected in their first full seasons with the Mets. Veterans Jon Niese and Bartolo Colon were very up and down this season but were able to provide some solid moments for a Met club in the midst of a special season. However one of the biggest reasons the Mets have had a resurgence is the promotions of Noah Syndergaard and Steven Matz. Both former top prospects were even more polished than advertised and were key to the Mets going on their second half run. No other club had two top flight pitching prospects that were able to step into a major league rotation and contribute like this right away. Having two rookies contribute in the starting rotation the way Matz and Syndergaard have is extremely rare and should not be taken for granted. All of these pieces had to fit together for the Mets to win their 5th division title in franchise history. They will face the Dodgers in the NLDS starting Friday October 9th. BrokeMets will have a full scouting report on what the Mets can expect from the eventual NL West champs next week. With Steven Matz’s incredible debut Sunday the countdown to Jon Niese being kicked out of the Mets rotation has already begun. Niese has had a subpar season although he has been a lot better recently. He clearly is the next guy to lose his spot but Jon still has a pivotal role in the 2015 Mets season. 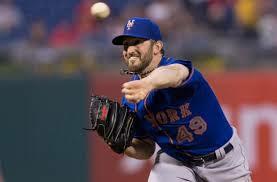 Niese is the Mets trade bait. Teams like the Cubs (who Niese faces tonight) and Dodgers have shown some interest in Niese. The Mets won’t be getting all that much in a deal for Niese but clearing his $7 million salary could help the Mets go out and get the bat they are going to need. The Mets aren’t going to be trading one of their top prospects like Noah Syndergaard or Steven Matz to get the bat they are looking at the trade deadline and they won’t be adding significant payroll which really prevents them from doing nearly anything. However if the Mets can clear Niese’s $7 million then they can use that money along with lesser prospects to go get a versatile bat in a separate deal. The Mets waited far too long in similar situations with players like Ike Davis and Dillon Gee, overvaluing their market which forced them to give away Davis and DFA Gee. Zobrist is hitting .383 with three homers and 13 RBI over his last 14 games. He had a slow start thanks to April knee surgery but he seems to be back in his All-Star form and the A’s are 10 games out of first place in the A.L. West at 35-44. They should be ready to sell soon and the Mets should be knocking on their door to acquire Zobrist once they clear Niese’s money.